Do you sometimes feel sleepy, drowsy, or tired after eating fruit, especially at breakfast, and you don’t know why? 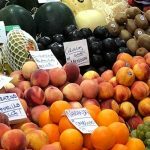 Fruit provides easy to digest simple sugars (glucose and fructose) that create a moderate rise in blood sugar, which is typically considered uplifting, so thinking about it – eating fruit shouldn’t send you to sleep, so why does this happen? 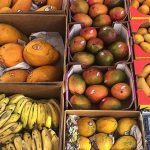 I experienced this sleepy feeling after eating fruit for months on end when I first started my raw diet and I could never fully explain the reason why. I would eat fruit for breakfast, and then I would feel so sleepy and tired afterwards, that I literally would want go back to sleep. Luckily, I own a few Orthopathy books that have been incredibly helpful in explaining this pathology, and after learning this important lesson, I managed to control these symptoms. Typically, the reason why you feel tired or sleepy after eating fruit is because of the excessive quantities of fat flowing through your system. Most of the time, it isn’t the fruit itself that makes you feel sleepy, but the dinner you ate the night before, which has been digesting in your stomach all night long. As you consume fruit the next day, it ferments quickly. The body then responds to the rise of blood sugar levels that accompanies the consumption of fruit by producing insulin from the pancreas. The excess fat in the bloodstream, however, makes it more difficult, impeding the function of insulin upon sugar in the bloodstream, and as a result, the body tends to overproduce insulin. Eventually this excess of insulin does finds its way to the sugar in the bloodstream and the blood sugar levels drop as a consequence, to even lower levels than what is consider normal and healthy. It is at this point that you feel tired. In most situations, you solve this problem by reducing the overall fat you consume in your diet, especially at dinnertime. In my case, the excess fat was coming from the olive oil I used to add to my dinner salads; and I wasn’t using much olive oil either. A mere 1 Tbsp. of olive oil drizzled over my salad the night before was enough to make me feel drowsy the next day after eating fruit. Remember that olive oil, just like the rest of the cooking oils, is a refined product and one of the most concentrated sources of calories available anywhere. One tablespoon of oil contains 120 calories of pure fat, with almost no other nutrients. After I quit using oil in my salads, the sleepy effect after eating fruit went away completely. A similar effect was also felt by many of my coaching clients. But don’t take my word for it, try it out yourself. If you feel drowsy any time after eating fruit at breakfast, avoid consuming fat the night before and see how you feel after eating fruit the next day. 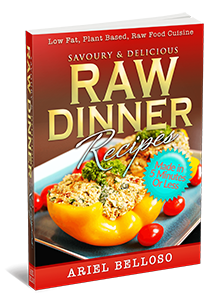 Check out the essential guide: Raw Dinner Recipes [updated for 2019]. Get 16 quick and delicious oil-free meals that will tantalize your taste buds while leaving you satisfied and bursting with energy. You can get the eBook right now – for FREE – by clicking the banner below. 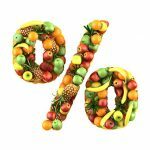 Which Are The Most Expensive Fruit Per Calories? 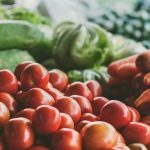 Is A Raw Vegan Diet Sustainable? Why I Eat 100% Raw. 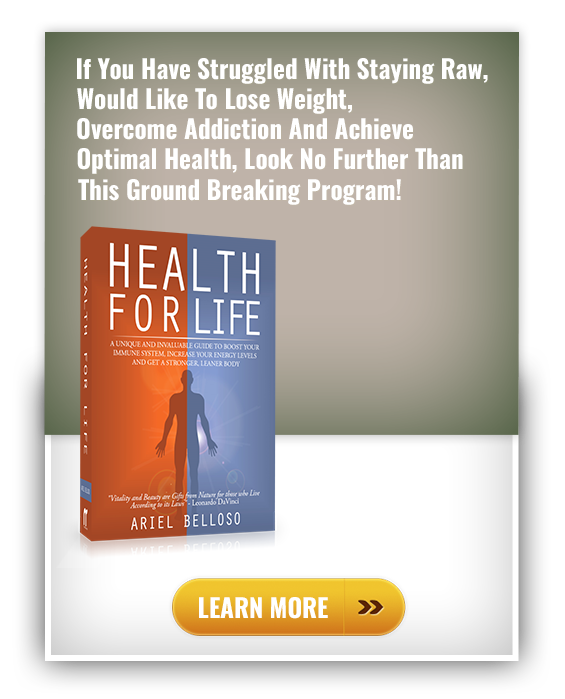 Should You Eat 100% Raw? Great article. Thanks for sharing your knowledge Ariel. Blessings! EXCELLENT!!! I have been feeling this way for weeks! Now I know why!!! I will be cutting my dinner salad oil for sure! Thanks Ariel!!!!!! Thank you Ariel! I was explaining that feeling to a friend of mine today and 5 minutes late I saw on FB a post with your article! What a bless! Nevertheless, I don’t eat that much fat, more or less what is supposed to eat on a 80-10-10 diet, maximum 15%! I’m a woman and I also read some testimonials talking about the importance of fat on our hormonal health, as well as skin and hair. Do you have any opinion about it? Thank you for your articles and for being a human being that are here in earth to help and share experience. Life is all about that. (Unfortunately I couldn’t Pin the article on Pinterest…). Let me just say this about the Dr. Doug Graham method of eating to remain healthy. He actually prefers the total fat calories to be closer to 5% and not 15%. He and his wife teach about insulin and how our cells get energy. They teach that the food fat blocks the cells from receiving the insulin. So Dr. Graham has a very good support site which is posted on his Facebook page. He is very caring and has people helping him to reach out to others. Be patient. Well, I felt very sleepy after my breakfast of fruit only and I didn’t have any fat in my dinner either-just vegetables and a few lima beans.. Nor did I have any fat at all during the day. I had watermelon only for lunch and a vegetable juice for breakfast. Like Neta above. I am the same. But at theach moment I am under medical investigation for gallbladder issues. I don’t have gallbladder stones but have gravel instead. Dont know if this is having an affect on the pancreas etc .. I eat almost no fat in my diet. I exercise yet I can’t loose the fat I have on my body. Had cryolypo done 1 year ago and this was when all my trouble started with the galbladder. Love apples but always immediately after I eat same the tiredness hits me like a ton of bricks and i feel like I’ve been up all night with zero sleep. Thins is really the most crazy article I’ve read recently. Fat is NOT the cause. Sugar is the cause. Fat has nothing to do with insulin and actually it has been proven that eating fat helps a lot in reducing the chances of becoming ill because it doesn’t trigger insulin. To stay healthy we must reduce at minimum the insulin production so that insulin itself, which is a fat storage hormone, doesn’t activate. When insulin isn’t triggered, our bodies are forced to burn excessive fat. When insulin is triggered, our bodies store fat. So the solution isn’t to eat less fat but less sugars! 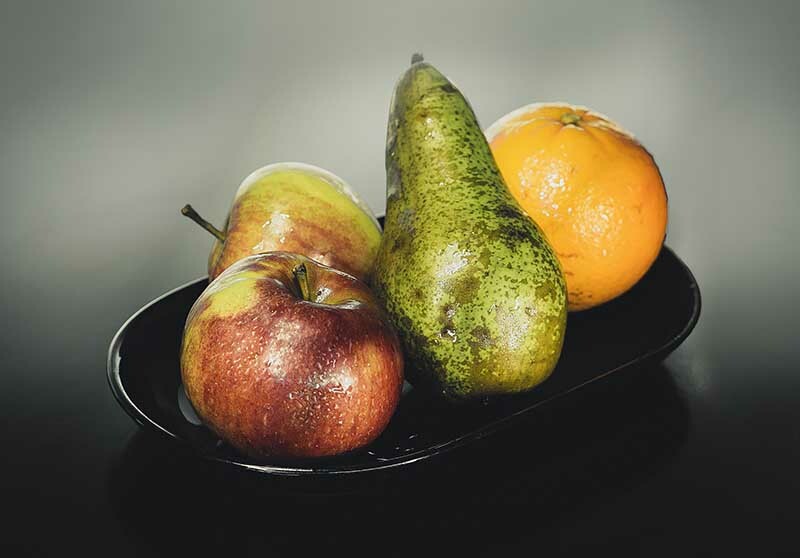 Don’t eat so much fruit, and you won’t be sleepy anymore, as well as being much more healthy.